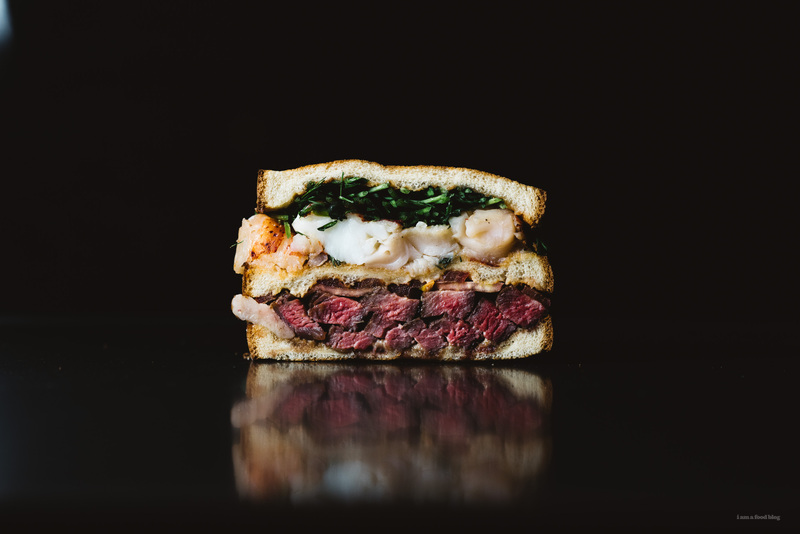 Steak and lobster and all that good stuff in an over-the-top sandwich. Recently, I became obsessed with a sandwich. Yes, a sandwich. I know it’s a funny thing to dream about, but dream I did. It helped that the sandwich was from Tokyo, where Mike and I happened to be at, at the time. We were all ready to go, but then did some research and found out that it was a bonus take-away sandwich from a very expensive steak omakase dinner set. So, that was out because we didn’t really want to sit through 12 courses of innovative steak dishes just to get to the sandwich. Still, ever since, I’ve been dreaming of steak sandwiches. 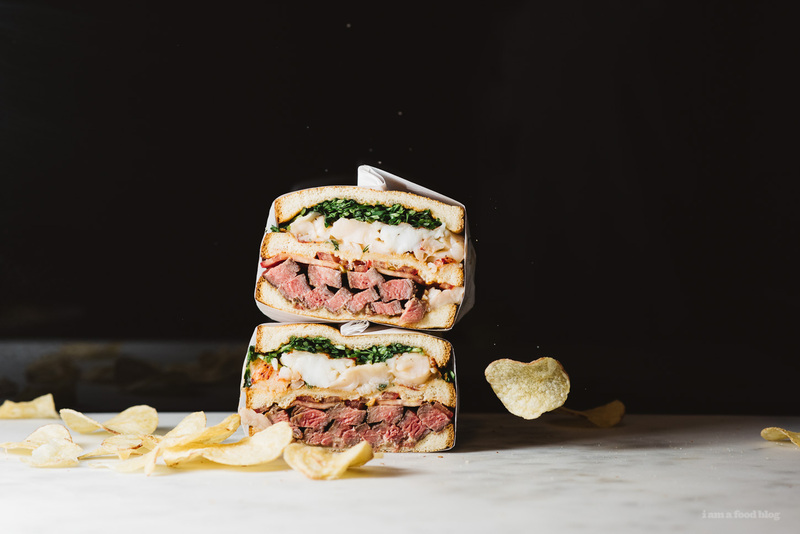 And so, when I was approached by Cobblestone Bread Co. to make an over-the-top sandwich, steak popped into my head. And, to make it even more over the top, I wanted to do surf and turf because, well, surf and turf is a thing. The funny thing is, I don’t think I’ve ever really had a steak and seafood dish. I like steak (a lot) and I like seafood, but together, I’d never really thought of that. Seeing that I wasn’t well versed in the surf and turf world, I asked Mike what would be a suitable seafood partner for my steak. He immediately replied “lobster,” which is totally classic. So, off we went to buy some steak and lobster. The lady that helped us grab the steak from the case happened to be the seafood lady too. She was really nice and we had this funny little exchange. Seafood Lady: So, steak and lobster. I’m thinking anniversary? Me (at the same time as Mike): Nope! Mike (at the same time as me): Yup. Seafood Lady: Oh, I thought anniversary for sure! Me: Oh, yes, actually it is for a celebration…we don’t need an anniversary to celebrate our love! Me (to Mike after we said our thank yous): Wait, did she mean free caviar?!!? Sadly, my honesty cost us some free caviar, but no worries, this sandwich was super fun to make. I decided to sous-vide the steak and lobster just so that there was some hands off cooking time. 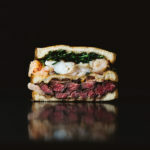 We don’t usually sous-vide our steaks, since we like them on the very rare side, but since I was firing up the machine for the lobster, we gave it a go, which was the right move because the steak ended up being very juicy and tender, which is important in a sandwich – I hate it when you can’t bite through all the layers of a sandwich. The sous-vide lobster turned out perfectly cooked. 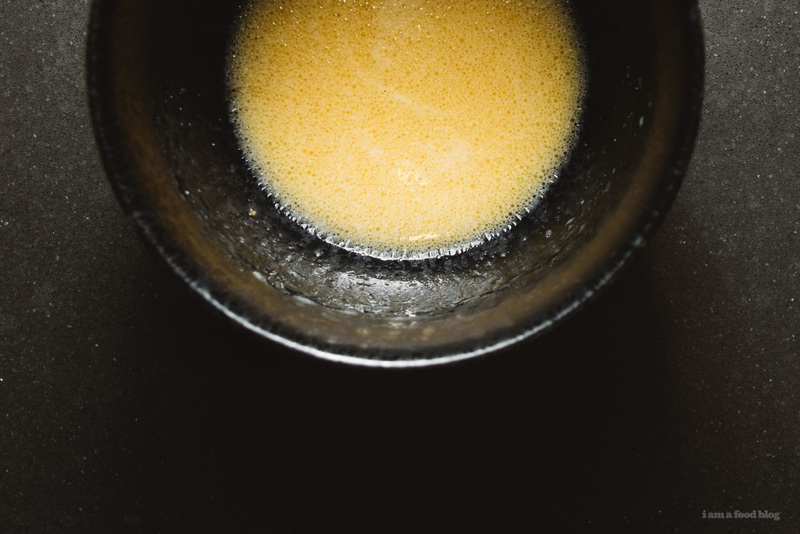 I put miso and butter in the bag and afterwards, the miso-buttery-lobster sauce was so delicious I wanted to drink it. After cutting up the lobster and tossing with the sauce, fresh dill, and pepper, the sandwich was ready to be assembled. 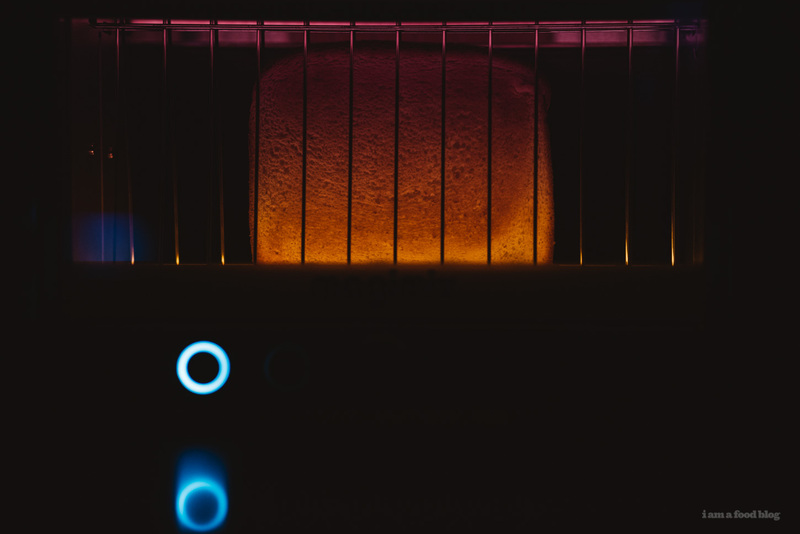 I’m all about toasted bread for sandwiches. I find that it gives them structural integrity and I like the texture of toast! The bread I used, Cobblestone Million Dollar White Bread was buttery, rich, and best of all, held all the steak and lobster easily. And, bonus, I really like the size of the loaf, which is slightly smaller than your typical family size loaf. Speaking of bread loaf sizes, I have a soft spot in my heart for small loaves, not just because it’s only Mike and I eating the loaf, but because in Japan, they sell small loaves too. Anyway, this sandwich turned out really good! The creaminess of the miso-butter with the chunks of lobster, the seared steak with wasabi and mayo – everything just went well together. I feel like this was a gateway sandwich. I mean, I’m clearly a sandwich fan, but lately I haven’t been making any. That has to change, stat! Fill a large pot or heatproof container with water and set the sous vide machine to 130°F. Generously season the steak with salt and pepper. Place in a vacuum seal bag, along with the butter. Place in the water and sous vide for 30 minutes. While the steak is cooking, gently remove the shell from your lobster tails. This may be difficult as uncooked lobster is quite delicate. I found that using kitchen shears to cut the bottom of the shell helped. Try to separate the membrane from the shell and gently pull out. Place in a vacuum seal bag, along with the miso, butter, and a generous amount of pepper. When the steak has been in the sous vide water for 30 minutes, add in the lobster and set the timer for another 30 minutes. 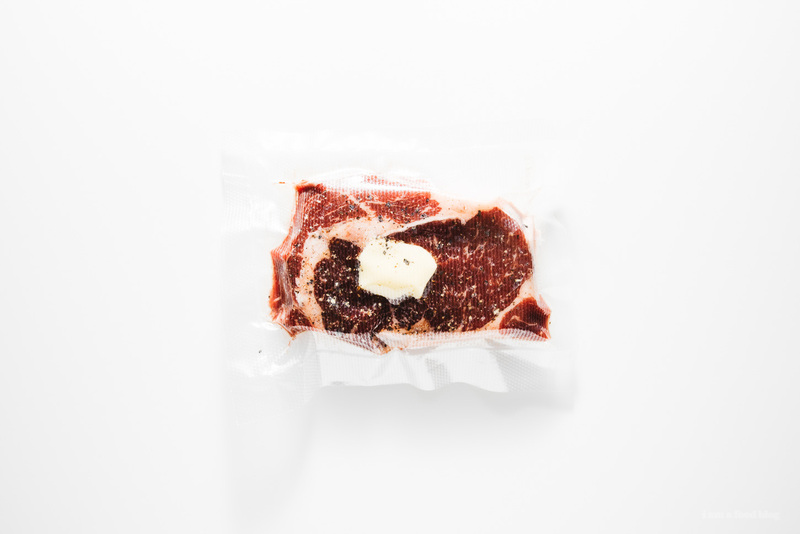 When the hour is up, take the steak out of the bag (discarding the juices) and lightly pat dry. 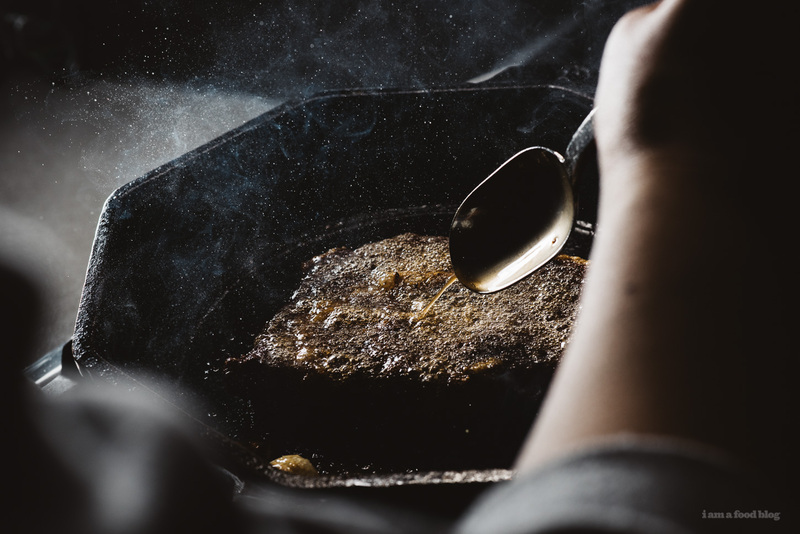 Heat up a heavy cast iron pan over high heat and sear each side for 1-2 minutes, getting a good crust. Remove from the pan and let rest. Remove the lobster from the water and carefully cut open the bag. 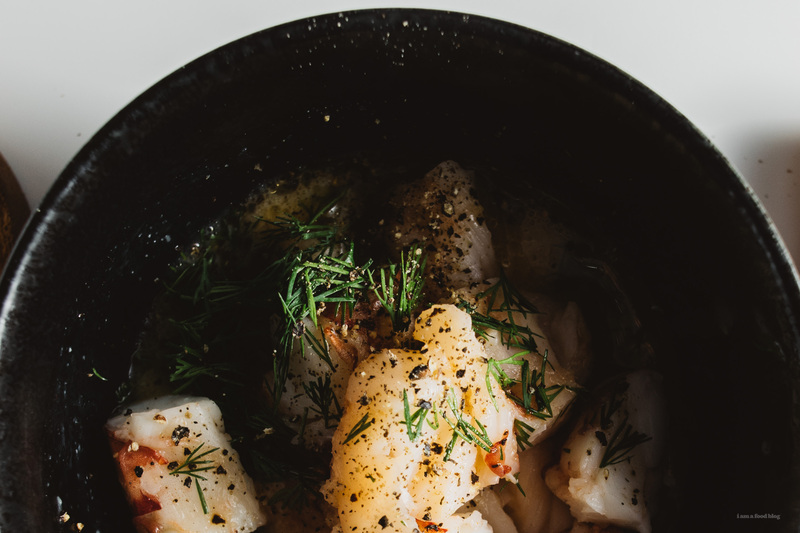 Pour the butter-miso-lobster water into a bowl. Cut the lobster into large chunks and add it to the miso-butter. Toss with freshly chopped dill, tasting and adding pepper if needed. 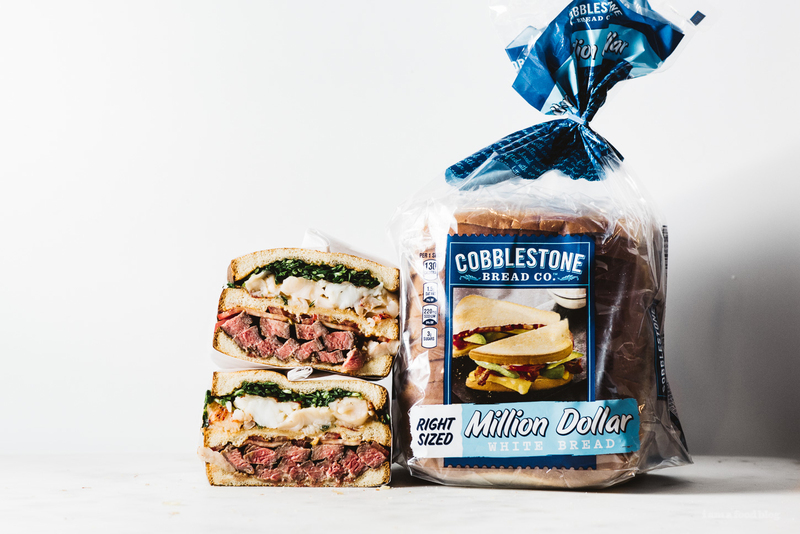 Toast the Cobblestone Million Dollar White bread, then slice the steak against the grain. 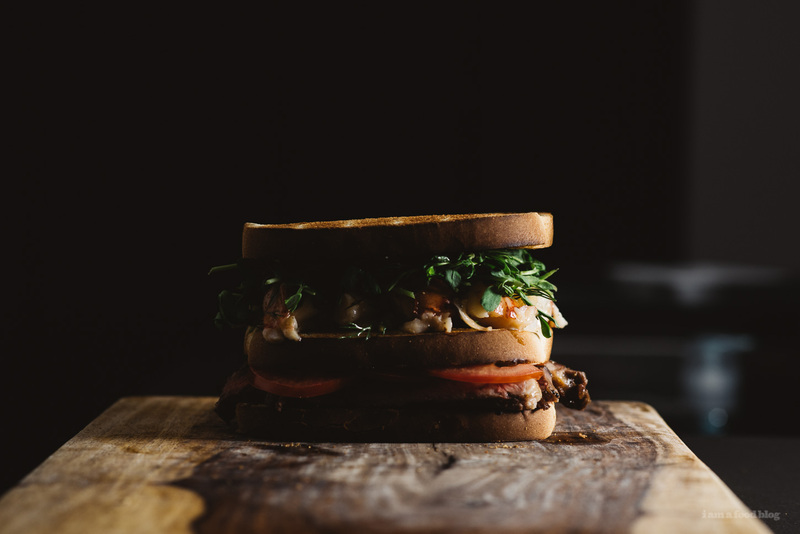 Assemble the sandwich: kewpie mayo, wasabi, slices of steak, tomato slices, slice of toast, lobster, pea shoots, season with salt and pepper, then the last slice of toast (drizzle that last slice of toast with the remaining miso butter). Slice and enjoy! 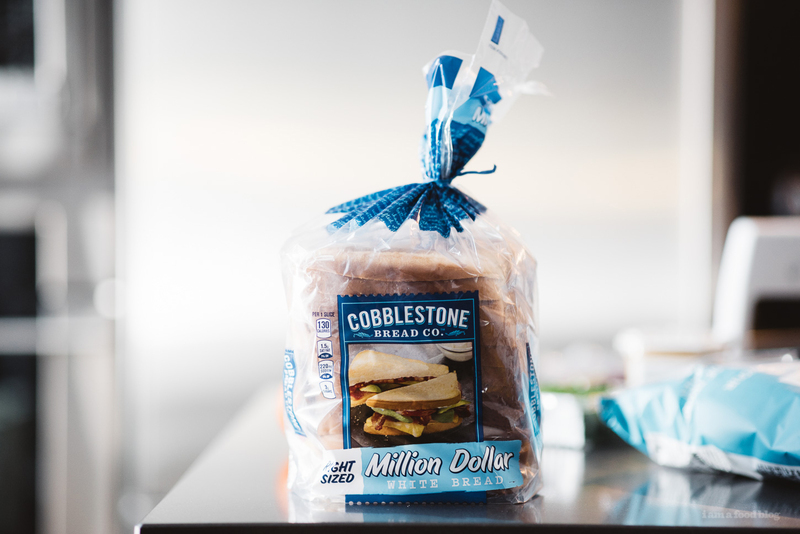 I partnered with Cobblestone Bread Co. to create this post. Enjoy! I can’t resist to make this meal very soon. All these layers make this meal so special.